A Year of Being Here: Alison Luterman: "Invisible Work"
"Invisible Work" by Alison Luterman. Reprinted by permission of the poet. This poem originally appeared in The Sun magazine and in Alison's first book of poetry, The Largest Possible Life (Cleveland State University Press, 2001). For more information about Alison and her other books of poetry, essays and plays, visit her website. 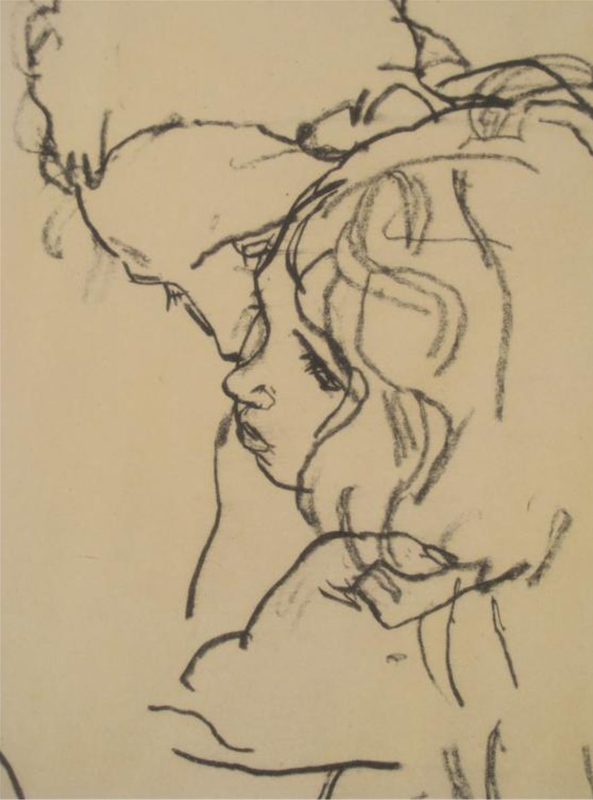 Art credit: Detail of mother and child, charcoal drawing by Egon Schiele.